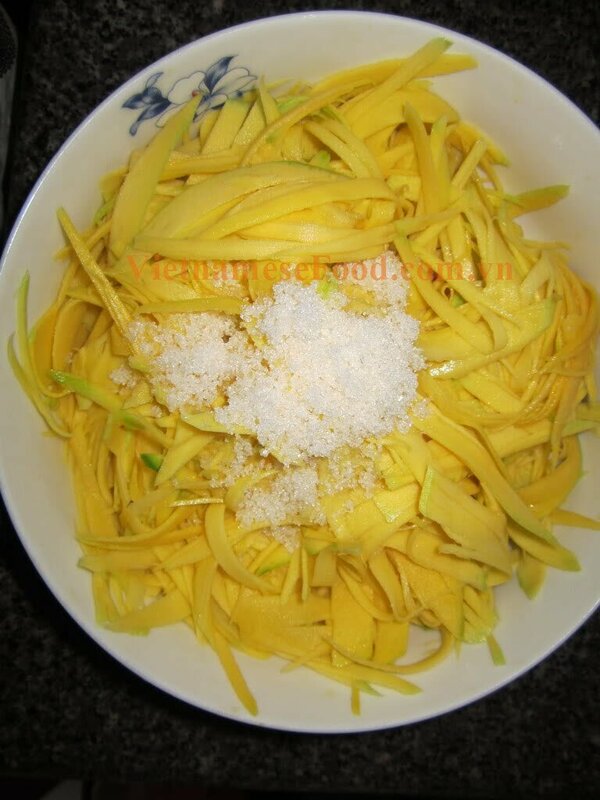 Green mango salad with sun dried shrimp is known as one of stunning Vietnamese Salad Recipes. 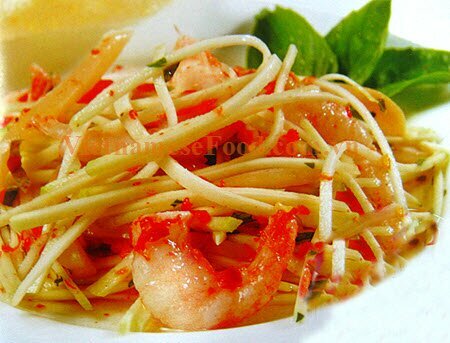 The combination if green mango which have a sour taste and dried shrimp, bring the strange taste but strongly delicious and attractive to anyone who want a new and original dish. And many Vietnamese young people fall in love with it. If you want to know how to cook one of stunning and interesting Vietnamese Salad recipes, follow our instruction below. There are 3 steps to make this amazing salad dish. Just require at least 10 minute and you will have a great meal to eat with your family or your friends. - Roasted peanuts, salt, sugar, tasty sauce, Vietnamese mints, cinnamon leaves, minced garlic, and cooking oil. 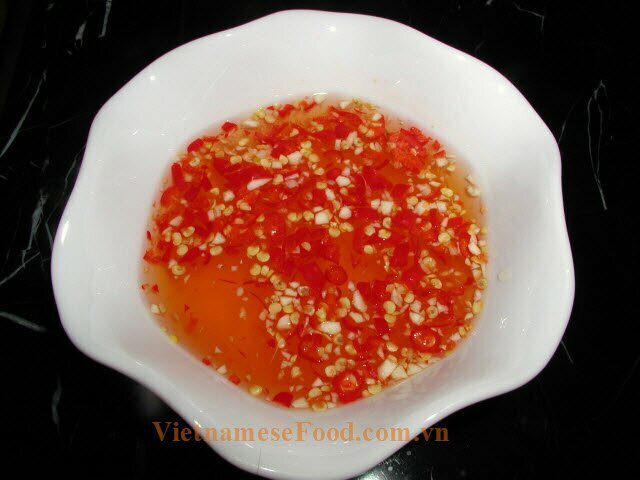 *** There are 3 steps to cook one of Vietnamese Salad recipes like this dish. Do the entire step carefully to make this dish more delicious. Step 1: Peeled the cover of green mango, sliced ​​fibers. Dried shrimp soaked to be soft, take out and rinse with cold water, drain. Fried garlic until golden, dried shrimp fried to fragrant. Rinse Vietnamese mints and cinnamon leaves, chopped. Step 2: Make dipping sauce: 3 tablespoons fish sauce, 6 tablespoons sugar, 2 tablespoon chili powder or minced chili.